If you're promoting the evergreen funnel, make sure to use all the emails containing the green badge. If you're doing a private webinar, use only the emails with the blue badge. Click on the emails below to see the badges. SUBJECT: [LIVE WORKSHOP] Started with $10/day and made $27k in one day?? A friend of mine is organizing an exclusive webinar, that you don't want to miss out on! He has created a simple eCommerce system that he used to create a multi-million dollar business online. This guy has even developed products that are now sold on Wal-Mart’s website… seriously, he knows ecommerce. There will be one training at 3pm EST, and then there will be another one at 8pm EST. I wanted to tell you about this right away because the seats are really limited. …so there will be a shortage of seats. You need to hurry to get your spot. J.R. has a unique approach to leveraging ecommerce, and the exciting thing is that you don’t need any tech skills, marketing experience or a large amount of money to get started. There’s plenty more but I think you get the picture. This training is sure to be fully booked so secure your place right now. I just wanted to give you a little preview of the upcoming webinar from my friend JR Fisher. He’s pulling back the curtains on his ingenious system, called Low-Cost, Quick Scaling Funnels, that is allowing him to find out if a product will be massively profitable by spending only $10/day. In the video, he explains how he turned a $188 test traffic into more than $31,000 in sales in just one month. Click the link below to watch the video, no registration required or credit card required. JR Fisher’s webinar is coming up soon! Did you know that he generated $31,780.35 by selling ecommerce products for $0 and just charging for shipping? You can watch this video to see exactly how he promotes and sells products for $0, and just charges customers for shipping and gets to keep 70% of the shipping cost as profit. P.S. 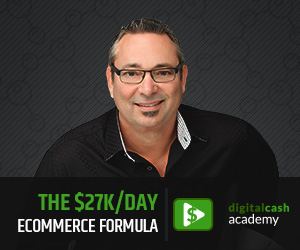 <a href=“http://www.digitalcashacademy.com/go.php?YOURID&3”>Make sure you also sign up for JR's webinar, to get the full story</a> of how he has been running a 7-figure eCommerce business since 2010. JR Fisher wanted me to get in touch with you. A lot of people either missed “5 Steps to $21k In One Day Case Study” webinar, or there weren’t enough spots. JR is sharing the exact formula he’s using to create six or seven figure ecommerce income streams from scratch, and the feedback has been fantastic! Click the link below to watch the replay of the live webinar. “5 Steps to $21k In One Day Case Study” webinar is being taken down. This is the last chance to watch the replay, so don’t miss out. -> How To Never Worry About Product Development, Inventory or Risk – Get Sales From Thousands of Products Without Touching Them! -> LIVE CASE STUDY – How I Started Testing A Product With $5/day And Ended Up Selling Over $41,000 Worth Of InventoryAnd much, much more! Utilizing a simple strategy called “Low-Cost, Quick Scaling Funnel” Strategy, J.R. was able to take a store that he had no audience, no initial products and quickly turn it into a huge success story using a simple little technique he developed. It gives everyone who uses it the unique ability to succeed quickly and scale incredibly fast. Did you see the case study I sent yesterday from JR Fisher? At the end JR mentioned his program, Digital Cash Academy. I couldn’t talk about it before, because JR wanted to keep it hush-hush until he was ready to unveil it. But I guess the launch is on now, and I can finally recommend it for you. 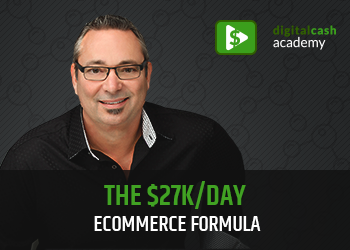 In the Digital Cash Academy, he teaches you everything you need to know on finding profitable products, targeting the ads to the right people and then scaling as quickly as possible for maximum profits. JR teaches you how to get started with as low as $10/day and he’s created multiple success stories already. Nick Tsai has generated $82,631.71 in one month using the $10/day system. Ben Reed increased his ecommerce sales by 388% using this sales funnel ecommerce system. Phillip Matthews did $101,813.05 in his first 86 days with this system. And he had no previous experience with online marketing or anything like that. The course has a total of 12 modules and it’s spread out over an 8-week period in which he’ll personally work with you to make sure that you get everything right. The registrations are now open, but it’s going to be closing down in just a few days from now. SUBJECT: No Niche? No Skills? No Problem! JR just put out a great video for anyone who is looking to build an ecommerce business, but has doubts about being able to make it. You NEED to check this video out. Did you see the videos I sent a few days ago from JR Fisher? At the end JR mentioned his program, The Digital Cash Academy. In the program, he teaches you everything you need to know on finding profitable products, targeting the ads to the right people and then scaling as quickly as possible for maximum profits. Check out the bonuses on the link below. The registration is open right now, but it’s probably going to be closing down in just a few days. Go ahead and click the button below to enroll today, before it’s too late. Just wanted to remind you that The Digital Cash Academy cart is closing in about 24 hours from now. You need to hurry or you’ll miss out on this incredible opportunity. It’s the best ecommerce monetization program out there that can help you get started with an advertising budget of as low as $5 to $10 per day. If you haven’t been living under a rock, you probably heard about the incredible success people have been having with dropshipping and eCommerce over the past year. If there’s one guy I would trust to teach you how to do ecommerce right, then it’s JR.
JR has been making multi-million dollars in sales with ecommerce since 2010 and has built many different ecommerce businesses. And he’s developed products that are sold on Wal-Mart’s website! He’s also developed a system that allows anyone to start sending traffic and advertising with a $5 to $10 per day budget. And he’s been able to scale projects from $5 in ad spend, to over $41k in revenue for just one single product. …you might miss out on this opportunity as he’s closing down registrations to his program in about 24 hours from now. There’s only few hours left to get The Digital Cash Academy Program. After this you’ll probably have to wait a at least full year to get the course. (If it’s ever on the market again). This program WILL create a bunch of new ecommerce entrepreneurs, and if you miss out now, the market could be too saturated by the time you are ready. So click the link below, check out their sales page, and make a decision ASAP.